Hello everyone! Day 8's post is all about Boxes. 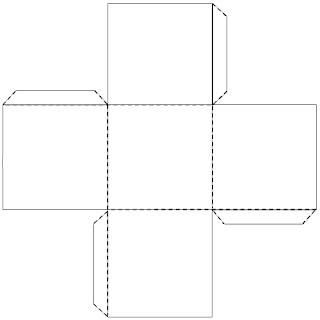 You can make this box also by using a 'Dice shape' template that you can use. You can also make an origami box as well. details of which can be seen further down the post. Take the 8 x 8 squared paper and follow the instructions on the board. We will be creating a square 2.5 x 2.5 x 2.5 box, so you will be starting and scoring with the 'M' line on the start line edge. Punch and score where appropriate. Insert the corners into the left hand slot, this will cut notches so that the top four tabs will lock into each to form a closure. 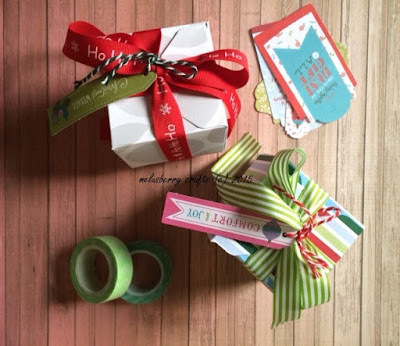 Take some ribbon and wrap this around the box tying a knot at the top of the box to secure it. Cut a length of twine and insert this twine into a die cut tag from the Do Crafts Folk Christmas range. If you have pre-prepared tags, please use these instead. 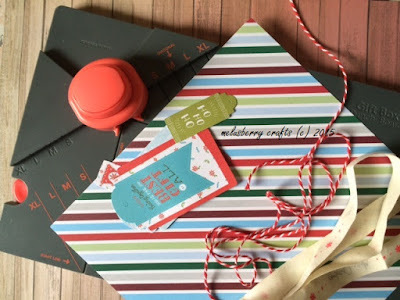 Attach the tag on the bow of the box and this will be the perfect box for any present. 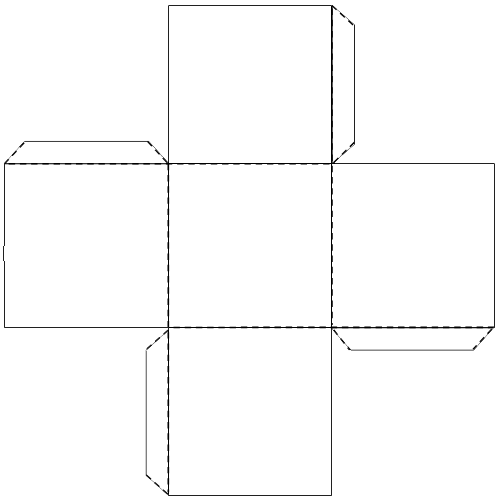 The punch board can create most sized boxes, so give them all a try with different sizes available! You may have to make a lid! For the origami Lover in you, this tutorial below to make a box using square pieces of paper will be right up your street! 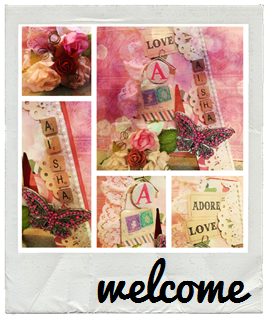 The boxes can be then decorated with your own ribbon, embellishments and stickers! The posts this week leading up to the 12th Day won't be on the same days as usual they will be on different days, so stay tuned for those posts!